A little something fun AND cute AND tasty for you today, my friends. Because I know some of you like to make fun things when a holiday is approaching. 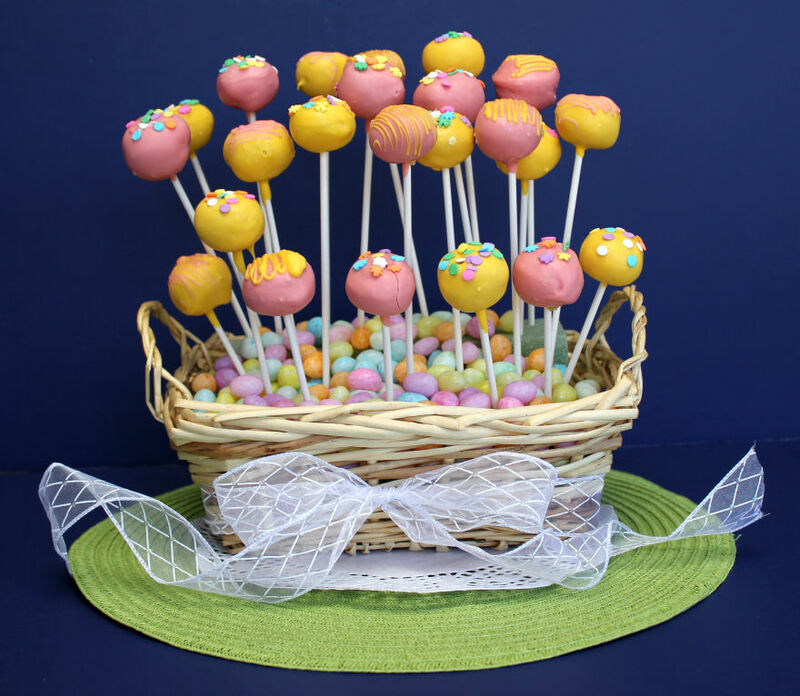 These bon bon pops are a little bit different than the cake pops that are so popular these days. The filling is made with crushed oreos and cream cheese. Yum. Super yum, in fact. And much easier than baking a cake to make cake balls with. 1. Take one package of Golden Oreos, open it up and toss the cookies into your stand mixer, or into a large mixing bowl. 2. Add a package of cream cheese to the cookies and mix until the cookies are crushed and well combined with the cream cheese. 3. Place the mixture into a freezer safe container, seal it well and pop it into the freezer for about 20 minutes. 4. Once the filling has hardened up in the freezer a bit, scoop it into small balls and put them in a 9×13 pan that has been lined with parchment paper. 5. Roll the balls around in the palm of your hand to make them nice and smooth. 6. Stick a sucker stick into the center of each ball and place the pan back in the freezer for 20 minutes. and cover the top of them with parchment paper. This will give you a nice spot to stick the bon bon pops after they have been dipped in the candy coating and need somewhere to be propped up so they candy can set up. Putting the parchment paper over the top of the styrofoam will keep it nice and clean so you can use it again. 8. Pour the yellow candy melts into a bowl and heat them in the microwave in 30 second intervals, stirring after each one, until the candy melts are melted and nice and smooth. Repeat with the Pink Candy Melts. 9. Dip the oreo ball pops into the melted candy coating. Let some of the coating drip off of the oreo ball and back into the bowl. 10. Stick the bon bon pop into the styrofoam and put a few pretty sprinkles on the top. 11. You can also drizzle the opposite color of candy coating over the top to make them look pretty. 12. Let the bon bon pops set up, should take about 15 minutes. 13. Once they have set up you can lay them flat in a pan and store them in the fridge until you are ready to serve them. They're absolutely adorable, Jamie! Happy Spring to you!! I just wanted to let you know that I gave you the “Sunshine Award” on my blog, posted at http://scrapbookingez.blogspot.com/2012/04/sunshine-award-my-10-fav-blogs.html. Your blog is one of my all time favorites! Thanks for all your amazing posts and everything you share. Have a wonderful Easter! Thank you for the wonderful recipe ideas – I've gotten into a rut in the dinner department and you have given me the inspiration to expand my horizon! Thank You So Much! My 14-year-old daughter and I had lots of fun making these. We did one batch exactly as directed, and then a second batch using E.L.Fudge cookies instead of the golden oreos. They were a huge hit at our extended family easter egg hunt party! Some people liked the golden oreo ones better, and some like the elf ones better. Definitely going to make again! Hi! 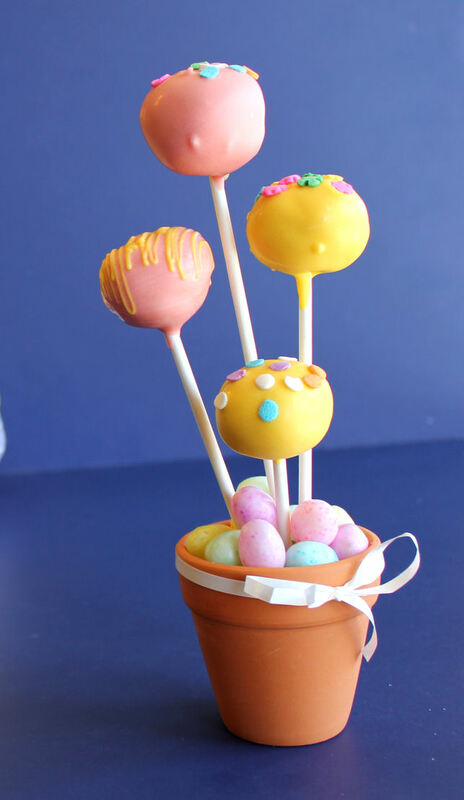 I love these and they could also be a great desert for a baby shower for Ana, my future niece. However, here in Guatemala I don't think I can find the candy melts. What else, besides chocolate that was suggested by Melissa, could I use, because of the colors so beautiful! You should be a paret of a contest for one of the greatest sites online. If you go to the post that you checked the “subscribe to new comments” box on, there should be a box you can check titled “unsubscribe”. Click that box and it should take care of the issue for you.